Founded by Spanish-born Cristóbal Balenciaga in 1917 and established in Paris in 1936. With Demna Gvasalia as Artistic Director since 2015, the House has continued to uphold the vision of Cristóbal Balenciaga by using an innovative approach to techniques and masterful cuts. 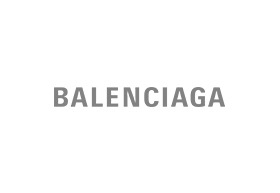 Balenciaga offers women’s and men’s ready-to-wear, handbags, shoes, accessories, eyewear and fragrance for women.